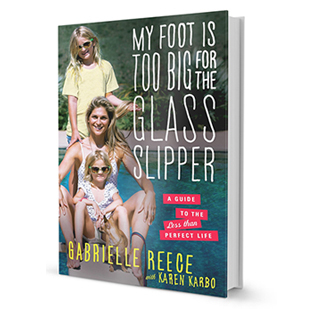 Former professional volleyball player Gabrielle “Gabby” Reece has stayed busy since she stepped out of the sports spotlight in 2010, running a healthy lifestyle website with husband (and surfing legend) Laird Hamilton, modeling for magazines like Shape, and appearing on shows like The Biggest Loser and North Shore. And now, the statuesque blonde is adding another line to her already impressive resume: fitness trainer. Reece just launched her very own HIIT workout class called HIGHX that will roll out in all of 24 Hour Fitness’ clubs this spring, making her one of the first pro athletes to parlay her extensive sports training into an actual workout that other people can do. Life isn't easy. And most people have secrets they don't discuss: affairs, fears, challenges, double lives, and inner struggles. 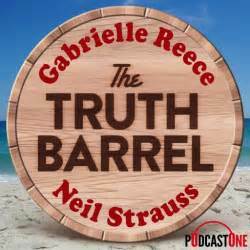 In The Truth Barrel (a 220 degree barrel sauna), New York Times bestselling author Neil Strauss (The Game) and pro athlete Gabby Reece (NBC's Strong) sweat the truth out of some of the most famous, knowledgeable, and interesting people in the world, from Grammy-winning musicians to gold-metal Olympians. The goal: To learn from these experiences and solve the biggest challenges of life that most people are too afraid to discuss.